It’s British Lamb Week and I told you yesterday about the kind of things that are planned for the week. While every day is different on the farm-one of the reasons why I love it, we do stick to an annual routine. While most people would start the year in January, I thought I would start with the next thing to happen in the farming year. It is all a bit which came first, the chicken or the egg in the sense that you can’t have lambs without ewes or rams so do I start with the girls, the big men or the babies? I thought I would keep things interesting though and start with the fun bit-the mating. We put the rams (tups) on the ewes around Bonfire Night. It is an easy day to remember. Since we got new tups this year-Suffolk Rams rather than Texel, we may put the new boys on a little earlier. It is always exciting and worrying in equal measure to see them do it (not in a perverted way) and to check that the males are all in good working order. Some farmers put a belt with chalk on the rams so that they can check which ewes have been serviced and when. After a month or so, the rams come back, their fun over and the wait begins. When the weather turns cold and harsh, we often supplement the feed of the ewes with special sheep nuts and hay to ensure they are getting enough nutrients to grow their lambs. 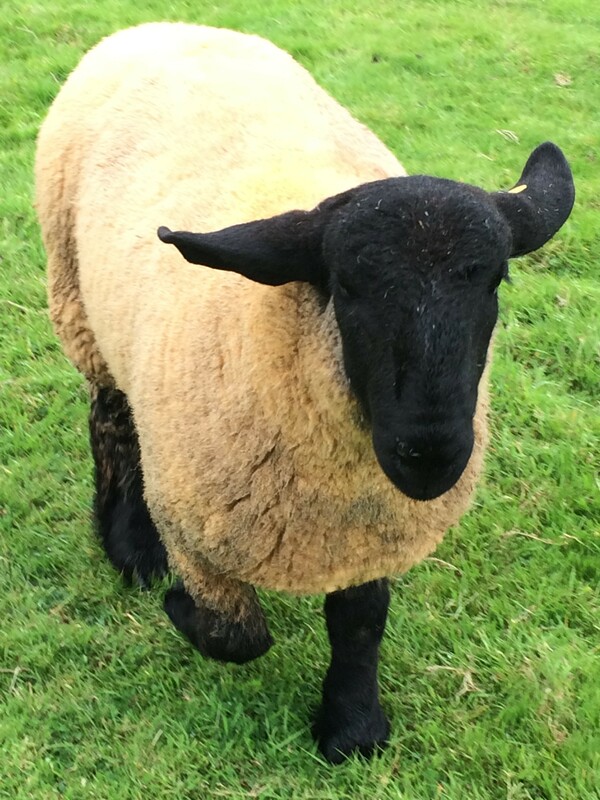 All of the sheep and rams are regularly wormed throughout the year and treated for conditions like fly-strike and foot rot as and when they need it. Then it is the time we anxiously wait all year for. It usually begins the last weekend of March and one year, that day fell on Easter Sunday which I thought was extra special. In fact Minty, our pet lamb was born on Easter Sunday. It lasts all through April and the beginning of May and is a very busy and stressful time especially, if like this year, it is wet. Weak lambs do not do well in wet weather and this year we lambed completely inside which really helped. When the lambs are strong enough and we know they are getting enough milk from their mothers, they go out into the field. The pet and orphaned lambs are hand-reared and come on much slower than the ones left with their mothers-as you would expect. We usually keep them inside until the frosts are completely over and the weather turns milder. The sheep stay with their lambs until we wean them. At weaning, they are already eating grass and this time usually coincides with sheep shearing. I love sheep shearing day as regular readers will know and you can read about 2014, 2015 and 2016‘s sheep shearing days by clicking on the individual years. Once sheared, we keep the lambs and the ewes separate. It gives the ewes chance to recover from lambing and replace any condition which may have been lost in the lactating period. The lambs stay with is until they reach a certain weight. Hubster has a keen eye and can pick out the biggest lambs. We then weigh them. Any over that weight will be the first to go to market. Any others will go back out to pasture until they are ready. I suppose here, the earliest a lamb would go to market would be September but surprisingly to non-farmers, the time it takes for a lamb to be ready is largely weather dependent. If we have had a good Spring and Summer with nutrient-laden, lush grass, they will be ready much sooner. Christmas is a good time to the price of lamb as many people prepare it for festive feasting. Likewise, it is worth keeping and eye on the religious calendars of other world faiths as it is not just Christians who celebrate with lamb. The last of our lambs will almost certainly have gone by January by which time, the cycle starts again. Some lamb ends up in our freezer and we give some away. For those animals, Hubster takes them to a local abattoir where they are slaughtered and butchered although, one busy Easter, we had to butcher them ourselves. We put a large piece of plastic cover on our kitchen table and spend a good while bagging and labelling everything before it gets stored. Farming isn’t easy but it can be rewarding. We put a lot of time, money and effort into rearing our animals and it is initiatives like British Lamb Week that can change the opinion of the British public and encourage them to buy British lamb rather than that imported from New Zealand. I have had to bite my tongue a fair few times in the supermarket when have seem people buying New Zealand lamb. Think of our lush green hills and dales. That is the fodder that makes our lamb so special. By buying British, you are ensuring our wonderful lamb is here for the next generation. British Lamb Week runs from September 1st-7th, 2016. I hope lots of people read this and take on board how much work goes into raising the lamb that they see on their pates .. and buying British (or perhaps French on my part) is so important to support small farmers. Great post for #AnimalTales – thank you! 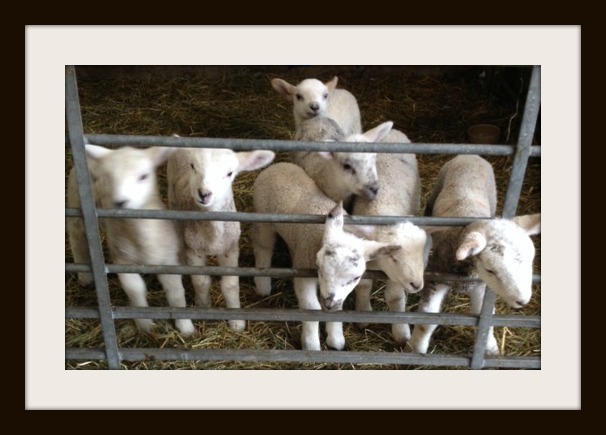 I really enjoyed learning all about the process of lambing. I farm, but only have chickens, ducks and geese! It seems like a lot of work, but very rewarding and well worth it! Eid has just finished in the Arabic world, we were making sheep pictures in school to prepare for the celebrations, Lambs are very important in this, as they are slaughtered as a sacrifice to God. Some years ago I happened to say in front of the friend of one of my sons that I had always wanted to pat a lamb. 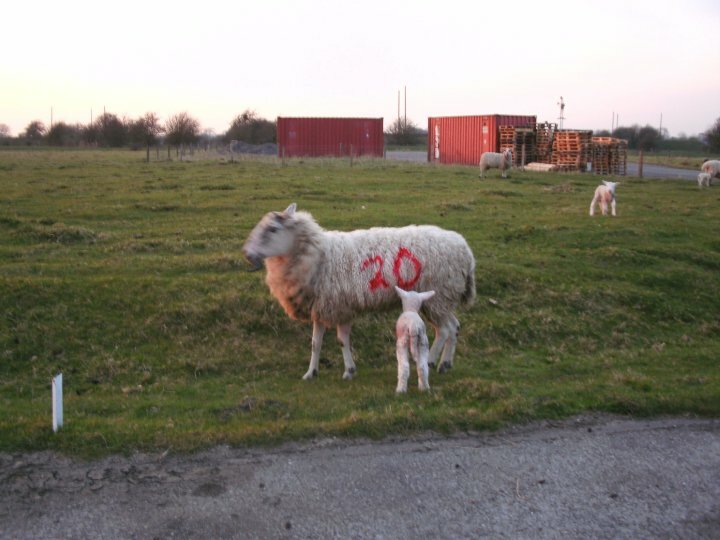 I had no idea his parents had a smallholding, but a couple of days later he turned up with a newborn lamb in a box for me to pat….I was surprised and utterly enchanted but the poor little thing was just skin and bone and was shaking,,,but I thought what a lovely thing it was to do for me! I was surprised and utterly enchanted but the poor little thing was just skin and bone and was shaking,,,but I thought what a lovely thing it was to do for me!